We make Biscuit Bridges out of two different types of wood, Maple and Rosewood. 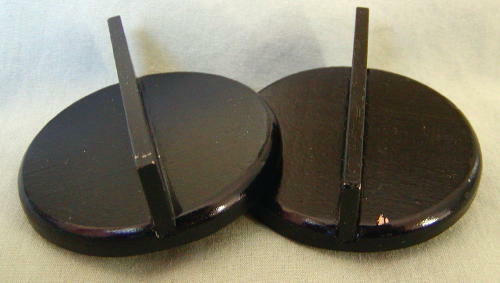 The Rosewood Biscuits have an Ebony Capped Maple Bridge Insert. The Maple Bridges are made from well aged hard rock maple. They measure 1/4″ thick by 2.30″ in diameter. The bridge portion is glued into a slot that has been machined into the biscuit. This bridge is oversized, to allow for final fitting to your instrument. They have been developed for use on resophonic guitars that use biscuit bridges. 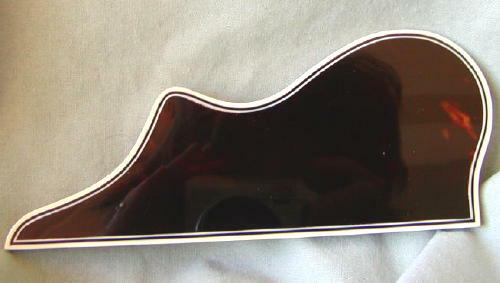 They are a perfect replacement for both Dobro and National syle resophonic guitars that are fitted with a 9 1/2″ cone. These biscuits are available either unfinished, or painted black. A mounting screw is included with each biscuit. These Biscuit Bridges are similar to our Maple ones, except the base is made of East Indian Rosewood and the Bridge Insert is made of Aged Maple with an Ebony cap. With this model, the Bridge Insert is not glued in place. 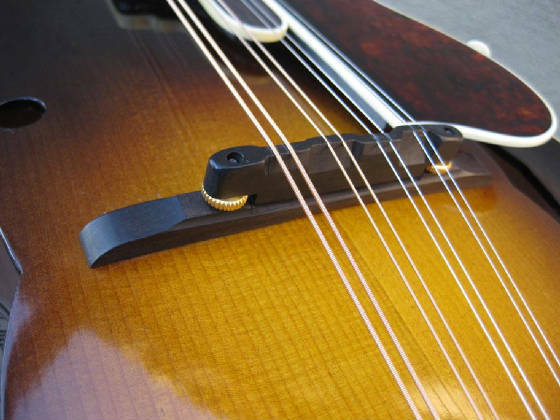 This allows for final fitting to your instrument for proper string height adjustment (without losing the ebony cap). It will require gluing after fitting. A screw and washer are provided to attach the biscuit to the cone.